Airlines with the best economy-class food and seats have been named by aviation consumer website Skytrax. 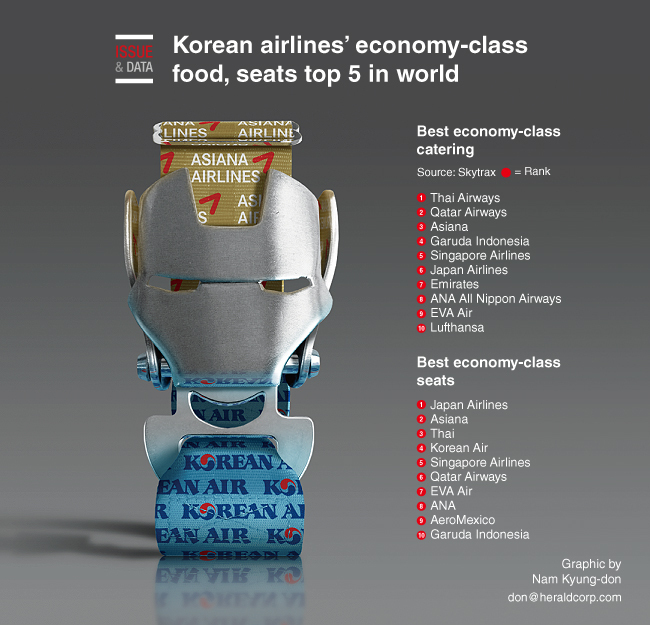 South Korea’s largest airline Korean Air’s economy-class seats ranked fourth in the world, while the country’s second-largest airline Asiana ranked third in catering and second in seats. The survey was based on 19.87 million travelers from 105 countries and covered more than 320 airlines. It considered factors such as boarding procedures, the quality of service and the comfort of seats.